Recent advances in dental technology have made it possible for people to be able to fix imperfections in their teeth, even if they are missing teeth or simply need crowns to provide a perfect appearance to imperfect teeth. Although there are plenty of methods for doing dental restorations, CEREC is one of the newest and most innovative types of technology on the market. CEREC is the acronym for Ceramic Reconstruction. It’s a sophisticated system that allows dentists to design and generate high quality ceramic dental restorations with the usage of a computer program. This makes it so that patients don’t have to have metal restorations, and one of the most advantageous benefits associated with this type of dental restoration is that it can usually be done all in one patient visit. CEREC utilizes 3D photography along with CAM/CAD technology to help dentists design a 3D virtual restoration of patient’s teeth. CEREC can be used to create everything from dental bridges and crowns to inlays and onlays, and it doesn’t require the dentist to have to take an impression of the patient’s mouth. Everything, including crowns, bridges, onlays and inlays is generated and created via a computer when a dentist chooses to utilize CEREC technology. The main benefit that CEREC offers patients is that it allows them to get their dental work completed right away. They won’t have to wait for impressions, X-rays and more to come back from the dental lab in order for their teeth to be fitted for their dental restorations. Additionally, dental restorations created with CEREC technology usually end up costing less than traditional dental restorations for the simple fact that fewer dental visits are needed with this more advanced type of technology. CEREC restorations are long-lasting, and they are also made of biocompatible and metal-free materials that are safer for your mouth. Ideal candidates for CEREC restorations are people who’ve been told that they need bridges, crows, inlays or onlays as well as people who have cracked teeth, old restorations that are failing and other large amounts of damage to their teeth. People who want to replace their old metal restorations with biocompatible materials are also ideal candidates for CEREC restorations. The first step in using CEREC technology is to have the area to be restored photographed, and then the photograph is converted into a 3D digital image. Afterwards, the advanced CEREC software measures the appropriate shape of the restoration by using biogeneric comparisons that the software makes against the teeth surrounding the area to be restored. The dentist then defines the model using 3D CAD software, and then when he or she is done creating the model, the design is sent to the milling machine that carves the actual restoration out of a ceramic block. The block is carved with diamond-head cutters that are controlled by a computer, and once the restoration has been successfully carved, then the restoration is bonded when it needs to be with the assistance of a dental resin. CEREC technology was developed by W. Mörmann and M. Brandestini at the University of Zurich in 1980 for the sole purpose of assisting in the making of dental restorations. Since its inception in 1980, it has been further developed and advanced until it has reached the heights that it has today. The first patient to be successfully treated with CEREC technology was in 1985, but it wasn’t until 1987 that the first CEREC machine was introduced to the dental marker. Nowadays, more and more dentists are turning to this technology since it cuts down on the amount of lab work that must be done completed between each patient appointment. Moreover, professionals within the dental industry state that CEREC technology will only continue to advance and develop even more, making it the future of the dental industry. The Center for Natural Dentistry. “What is CEREC? (And why does it matter? 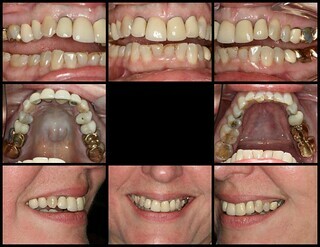 ).” Retrieved on February 9, 2016, from http://naturaldentistry.us/1790/what-is-cerec-and-why-does-it-matter/. Caselle, Paul. “Simplifying the challenge: The one-tooth restoration with CEREC.” Retrieved on February 9, 2016, from https://www.cereconline.com/simplifying-the-challenging-the-one-tooth-restoration-with-cerec.